Playing safe isn’t a bad approach. 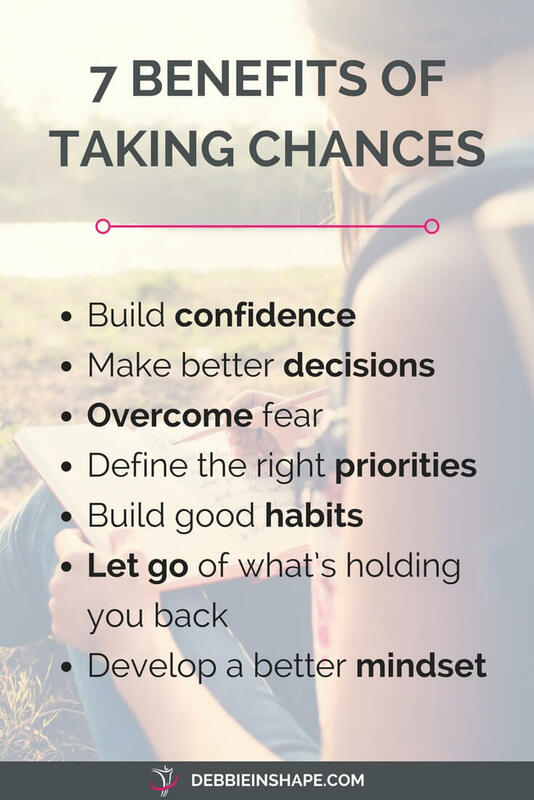 But if you are avoiding taking chances all the time, you might also miss great opportunities. 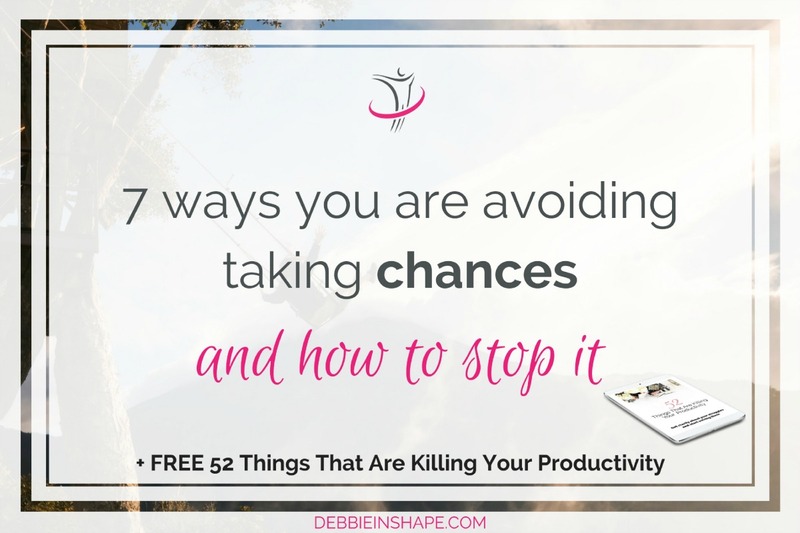 Before you ask why the fact that you are avoiding taking chances is bad for your productivity, let’s brainstorm together. Take a moment to reflect on the dreams and goals you’d love to accomplish. Why haven’t you taken any step towards making them come true yet? What’s holding you back? It’s easy to blame kids, partners, job, or even weather conditions (who has never? ), but in most cases, it’s all us! Please don’t think I’m here to accuse you of anything. Just, please, open your mind to the possibility. If you, right now, don’t have the tools or the knowledge to turn the table, it doesn’t mean you can’t. 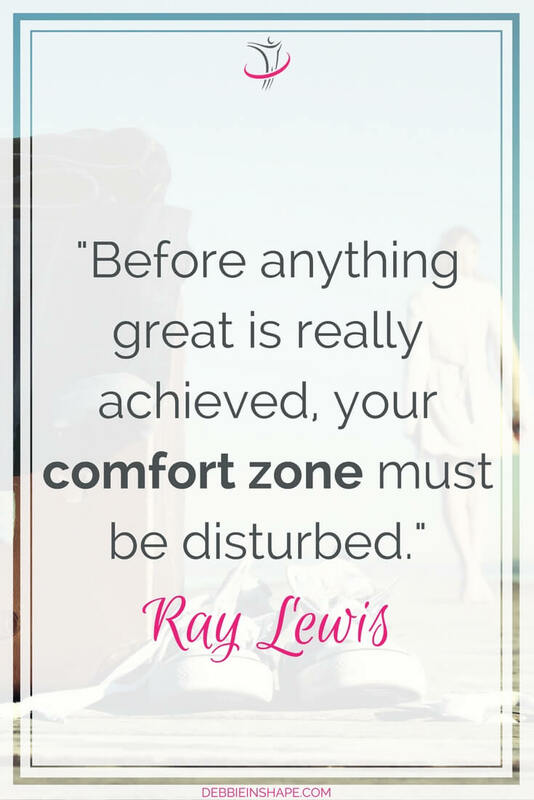 Have you ever thought about why the comfort zone has this name? It’s that cozy place where all your friends hang around and that things happen more or less the same all the time. Days, weeks, months, and even years pass, and nothing changes over there. Knowing this place is always going to be there welcoming you is reassuring and encouraging. But all this “peace” has a price: your success. Whether you like it or not, you have to do something different to get results. Also in terms of productivity. Just wishing you had longer days or that someone else cleared your inbox clutter isn’t enough. Whether or not you like the idea, you’ll need to start doing extra work to improve your results. In productivity, a lot of times, the way we live our lives, in general, holds us back much more than the tools we use. 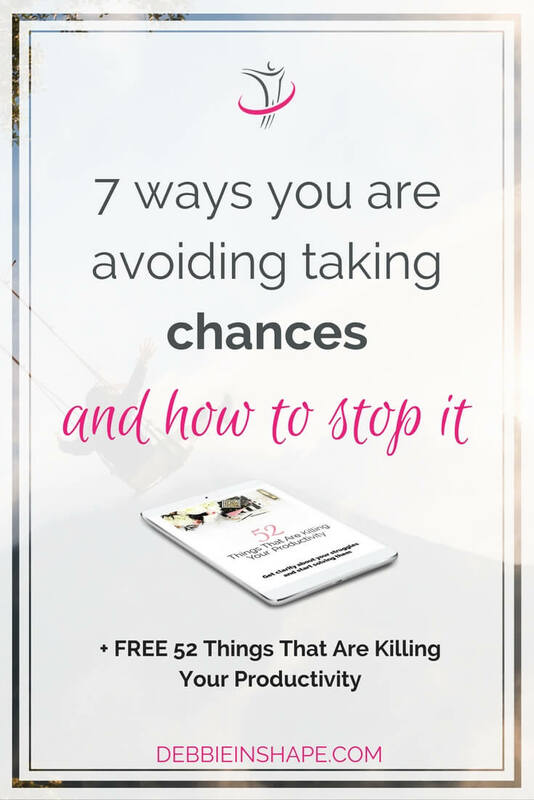 Take a couple of minutes to review these 7 ways you might be avoiding taking chances too much. Don’t let old habits keep you away from success. But even though they’re meaningful to you, you just don’t think you have what it takes to make them come true. Something tells you this is the opportunity of a lifetime, but you just don’t buy it. Maybe because of past experiences, you lost trust in this feeling. You’ve been living your life and doing things in a way that the mere idea of changing anything about it scares you. While you know you need to do something for your own good, you feel stuck. You set important objectives for yourself, but once the planning phase is over, you allow that your daily activities take over. Instead of focusing on things that will support your growth, you waste time with busy work only. Acting on an impulse, without a realistic plan, can lead to a burnout. Besides, once the phase of enthusiasm passes, you just don’t feel motivated enough to keep on going. When the idea that someone else’s fault is more than you can forgive, you create a spiral of negativity in your mind. You put yourself in a place you aren’t comfortable to ask for help or work along with others, damaging your chances of success. Because your actions aren’t designed, you go with the flow. But this flow generally takes you back to the comfort zone where nothing happens. Did you recognize yourself in any of the items above? If so, welcome to the club! All of us, at least at some point in our life, allowed that a superficial sense of security dictated our steps. Luckily, for all struggles, there are also solutions. Do you manage to get a lot done, but you feel exhausted at the end of the day? Are you lost and don’t have any idea or energy to get started? Invest a day (in the weekend, for instance) or at least a couple of hours, in rethinking your tasks, priorities, and goals. Reflect on where you are and where you want to be. Make a list of the risks you might need to take to improve your lifestyle. Collect information on them and your goals. Organize everything in a way it makes sense to you so that you can define your next steps. If you want to share your journey with other like-minded planners, come and join us today.